Need your daily fix of free apps? We’ve handpicked 19 iPhone, iPad and iPod touch apps that are free today only. 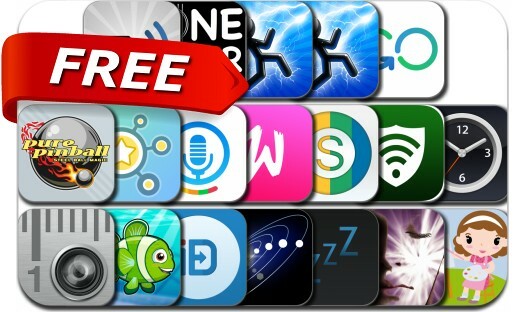 This apps gone free alert includes Who Uses My WiFi?, iPlayTo, Solar Walk, Clarm, Dream-X, Pix Shape - Effects Maker For Instagram, Binaural Sleep Beats, Augment Ruler, Pure Pinball, Recordium, Werds, 365 Coloring, OneHour Guitar Chord Method and many others.